Dig infinite stone to obtain infinity evoluiton. Minevolution 1.8.1 is a peculiar map. Let’s see why: When crating this new world, you will be located inside a room. 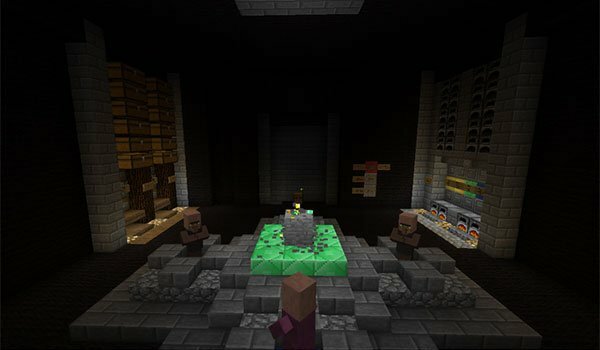 This room is connected to another but larger room where you will see a wood pickaxe placed on a stone. As mentioned you will have to dig that stone infinitely, but evolving more and more, so when you have evolved the picaxe you can find workers to dig the stone for you. You won’t be leaving this room, the map consisits in that, is an infinity evolution of both tools to dig the stone and to get more villagers to work for you automatically. The stone can be stored in the bank and you can exchange it for better tools. 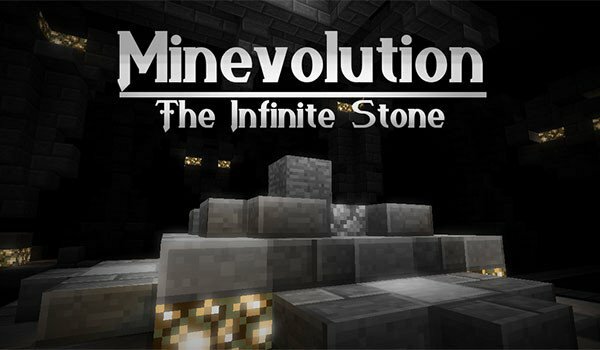 How to install Minevolution Map for Minecraft 1.8.1? Paste the downloaded file of the map inside “saves”. Get the infinite stone experience!